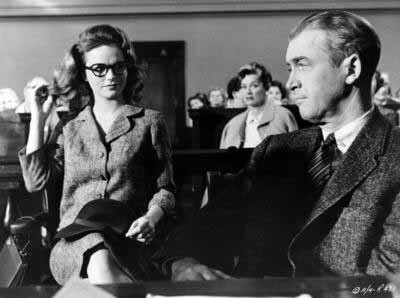 A Jimmy Stewart courtroom movie. Anatomy of a Murder. A supporting role with a nice little speech. Parnell Emmett McCarthy: Twelve people go off into a room: twelve different minds, twelve different hearts, from twelve different walks of life; twelve sets of eyes, ears, shapes, and sizes. And these twelve people are asked to judge another human being as different from them as they are from each other. And in their judgment, they must become of one mind – unanimous. It’s one of the miracles of Man’s disorganized soul that they can do it, and in most instances, do it right well. God bless juries. Sorry whole movie, but the portion I draw your attention to today comes in at 2 hours and 34 minutes and runs approx. 2 minutes.